And what do you know??? In the home game with LA Lakers, the Houston Rockets fans got a pleasant surprise and rare sight in Toyota Centre. For the first time since his retirement last July, Yao Ming is back in Houston, and was there in Toyota Centre to cheer and rave support for his old team !!! It is not known how long Yao Ming will stay in Houston; it was reported that he was under invitation by Houston Rockets to be there for some community activities. So stay tuned for my follow-up. 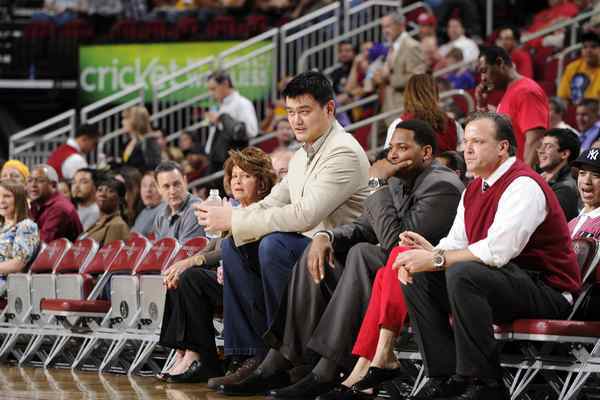 TONS of photos of Big Yao at the game versus LA Lakers. 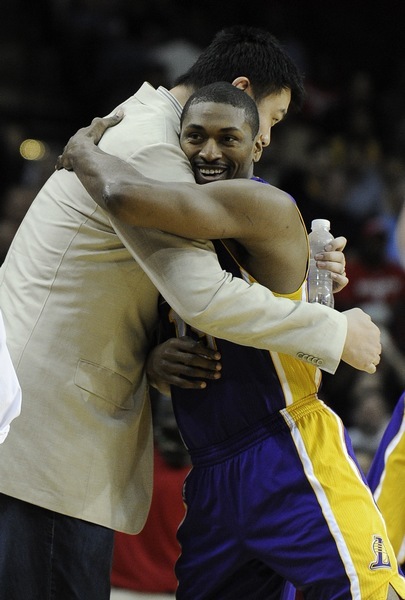 He was seen here embracing his ex-team mate Metta World Peace (Ron Artest), chatting with Pau Gasol in the players' corridor, sitting on the front row with Robert Horry to watch the game, and entertaining throngs of media/press reporters just like the old days. And his team mates did not disappoint him. The Rockets had a great come-from-behind win to beat the Lakers 107 ~ 104, after digging out a big hole (25 ~ 40) for themselves in 1Q. What is Yao Ming holding in his left hand? It looks like the type of plastic bag that you get when you buy pineapple buns. That's a bag from Targets. They pretty much sell everything there. 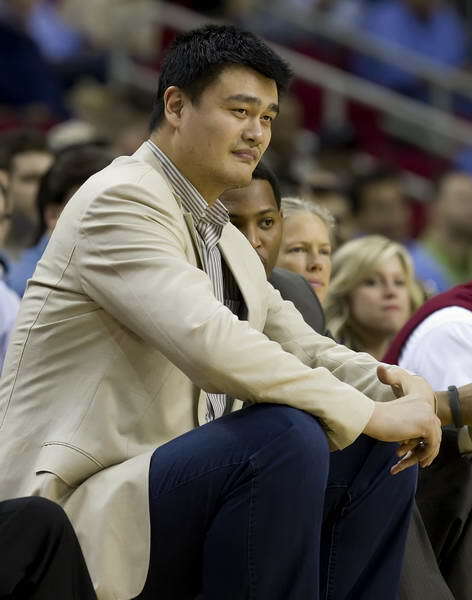 Good to see Yao doing NBA stuff though. Nice to see him again in Houston. Miss the big fella. Remember when they always have a mismatch in the post with big yao around. Hope to see him making a comeback from retirement. That will make my day! 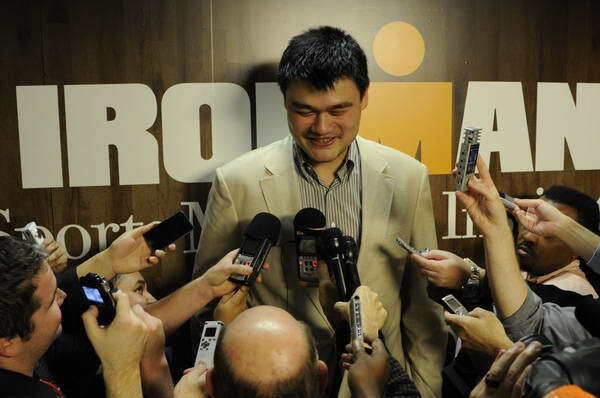 I am surprised to see no Houston Rockets' officials welcome or accompany him after all Yao had done for the team. Well, Houston Rockets' General Manager Daryl Morey is out of town in Russia for scouting. 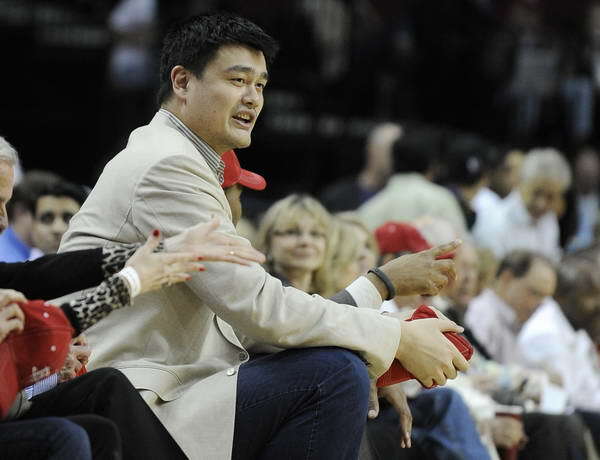 But if I'm not mistaken there were the following Houston Rockets management welcoming/accompanying Yao Ming during his return to Toyota Centre.